Did you know Polarr has a histogram? You might have accidentally triggered it before without realizing it, but it's there! It's so, so easy to find the histogram. All you need to do is tap or click on your image. That will bring up the histogram in Polarr. 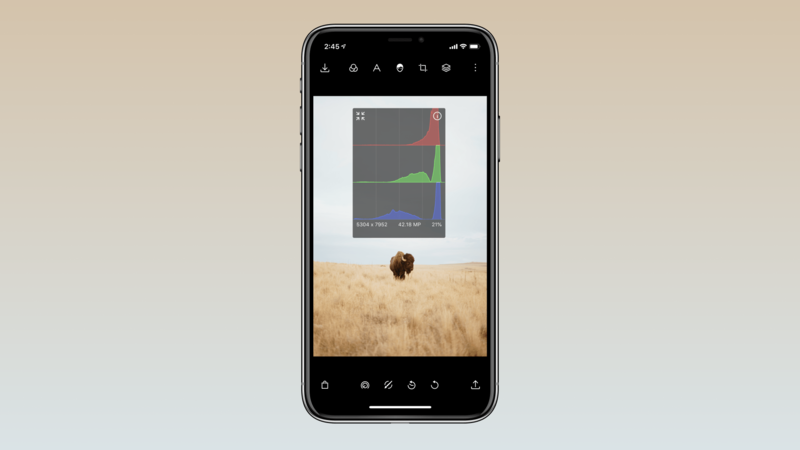 Once you've brought up the histogram you can move it around, tap the arrows to expand it to break out by color or click the info icon to view the EXIF data of the image. Check out the GIF above to see the histogram in action. Learn about some more hidden features in Polarr.